As an expedite company, the majority of the vehicles in our fleet are straight trucks. These have the same tractor you would see in a 53’ van, but there’s a box in place of the fifthwheel. The living space is just like being in a bigger truck, and you can operate on a Class B license. Tempus drivers sleep in their trucks to help maximize their availability and their income. Our most efficient, productive drivers typically see earnings comparable to those of a tractor driver. These are some of the top reasons why Tempus drivers prefer rolling in a straight truck over a tractor trailer. 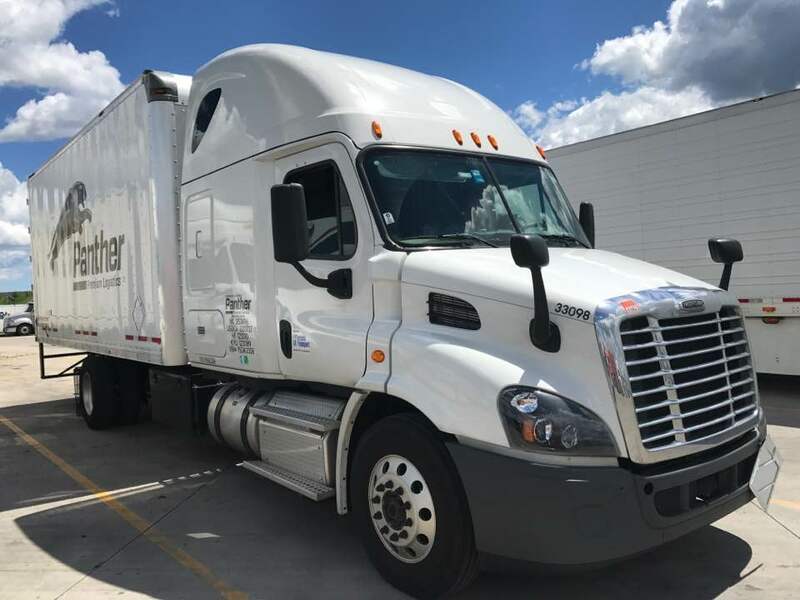 Many drivers come to us with a Class A license, but no experience, and so we talk to them about our straight truck to tractor trailer program to help them get started. Once that experience period is up, it’s not uncommon for a driver to decide to stay in the straight truck instead of moving to the tractor trailer. Parking is much easier. You can use RV parking at truck stops and get closer to the building. -Tempus Drivers Steve W., Chris E., and Ken M.
I enjoy the fact that I can go where most big trucks would have difficulty getting to with a trailer attached. It’s easier to get into different places you want to see out on the road. -Tempus Drivers William B. and Butch S.
I’ve driven flat bed and dry van. Farm equipment long before that. In a straight truck you can turn around almost anywhere with the proper clearance. Much easier pretrip inspection losing the skid plate and extra axles. All around easier for the same rate of pay. -Tempus Driver David V.
Think you might be interested in straight truck life? Contact our recruiting department to learn more by calling 844-836-7878 or completing our pre-qualify form. Thanks for your interest! Click over to the Pre-Qualify form on our website to get your info in to our recruiting team. My fear is going through the same thing I went through with the tranier. She’s made it to the point where I am terrified of going back out.